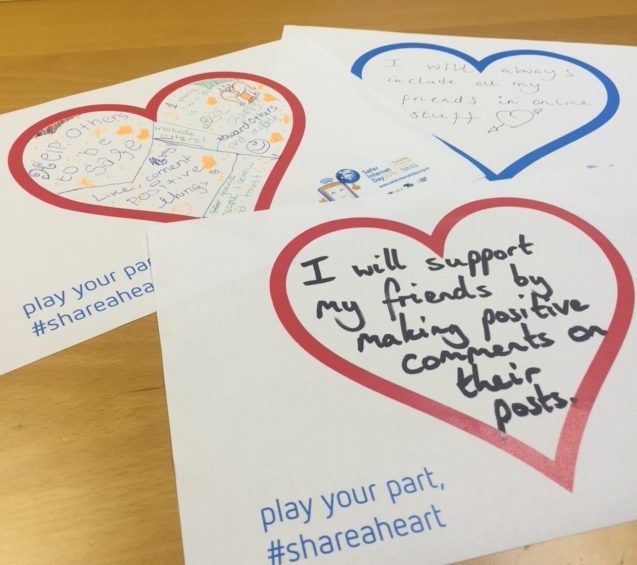 On 9th February 2016 we encouraged everyone to play their part and #shareaheart for Safer Internet Day, and the social media campaign was by far the biggest one yet! 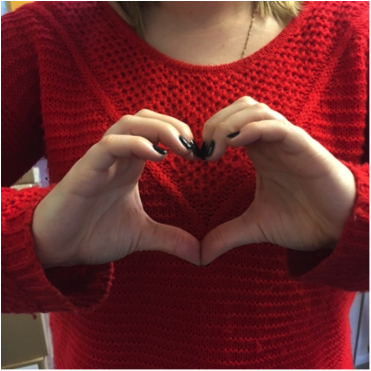 We used the heart, a universal sign for love, to promote respect and kindness online this Safer Internet Day and encouraged schools, organisations and individuals to take to social media and share their own heart filled messages, images or videos using the hashtag #shareaheart. The #shareaheart Thunderclap kick started the social media campaign and reached over 4 million people in a mass social media post on the morning of Safer Internet Day! Celebrities and young people met together for our very first Safer Internet Day InstaMeet, with hearts created by a fantastic London artist. 12,000 tweets were sent by schools, organisations and individuals who joined the #shareaheart social media campaign to help inspire kindness online. Whether it’s a positive message in our specially designed heart signs, a post filled with heart emojis, or something more creative, there are lots of ways you can get involved in the #shareaheart campaign. Download our #shareaheart information sheet and help spread the love this Safer Internet Day! The internet is for all of us and that’s why we’d love to see our hearts filled with positive and inspiring messages, just like CBBC Friday Download presenters Molly and Harvey have done. We want to hear what you love about internet! Whether this is playing games with your friends, learning new things and talking to family all around the world, Safer Internet Day is a chance to share the amazing things the internet has to offer. How are you playing your part? Safer Internet Day is a chance for everyone to do something positive to help make the internet a better place. Our #shareaheart signs come in grey, red and blue and are available to download now. 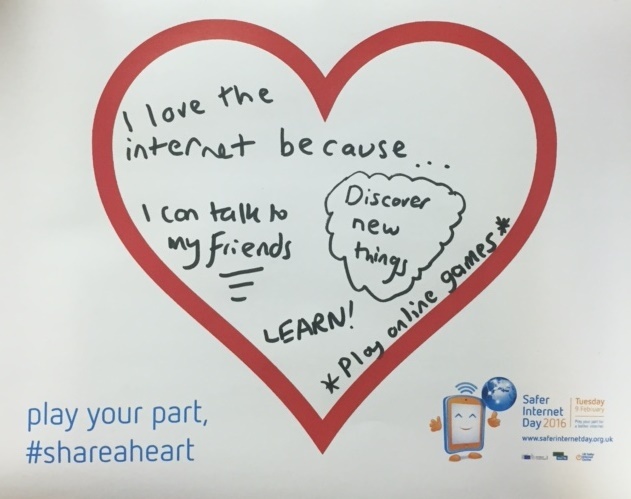 Remember though the hearts are to be used on Safer Internet Day on 9th February 2016. Now is the time to get creative and start making your heart messages, images and videos for Safer Internet Day! We will be sharing lots of ideas over the coming months, so keep an eye here for more inspiration.